Questly is taking on Anaheim and a rabid, red-short wearing mouse! 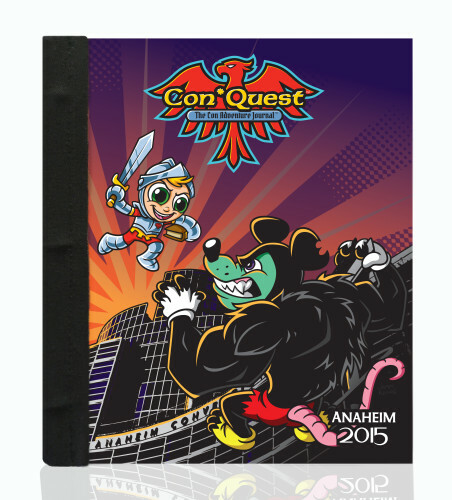 You can pre-order our WonderCon Show Exclusive Con*Quest Journal HERE and pick it up in booth 124 at the show. The 3 ring, canvas bound front and back covers are printed on quality paper stock and sewn to corrugated board for a completely handcrafted, unique feel. 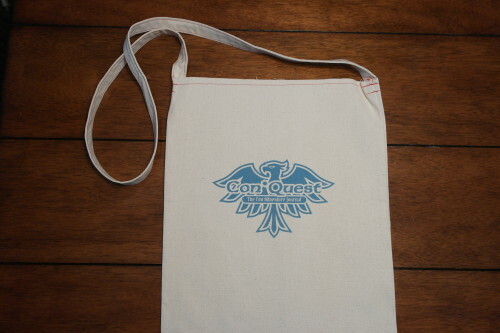 Our custom long handled tote bag is included in this pre-order! 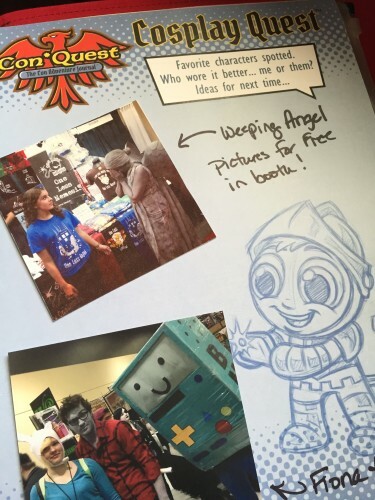 Each journal has 14 pages including Artist Quest for artist alley, Autograph Quest, Panel Quest for panel notes and Cosplay Quest, to capture the costume contest fun! We’ve included an uncoated matte page for pencil sketches. Two Ultra Pro sleeves are in the back to keep your comics and artwork safe, as well as business card page. 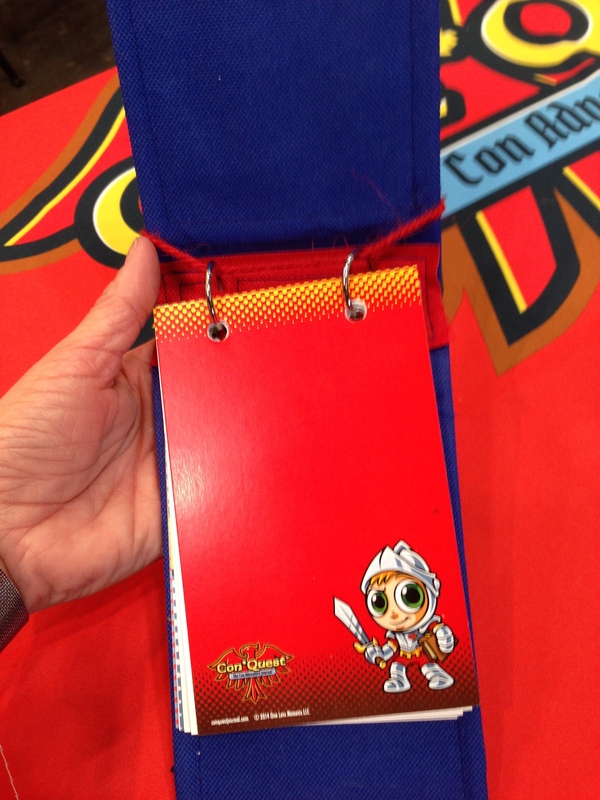 UPDATE: See all of the WonderCon exclusives on the CCI WCA page HERE! 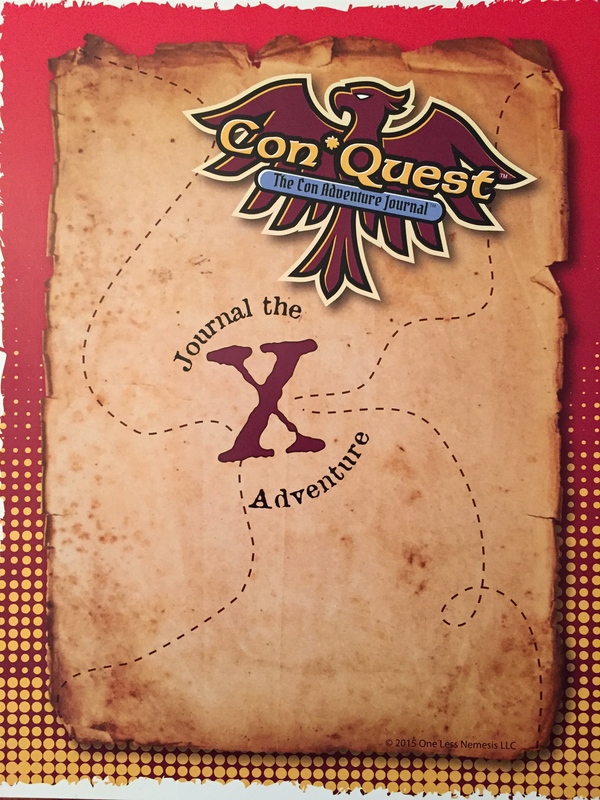 We are so outrageously happy and excited to announce that we have signed a license agreement with Gen Con® to produce a Gen Con branded Con*Quest Adventure Journal™, tote bag, mini journal, and tabletop gaming pages! The full press release is on our website HERE. During last year’s successful Kickstarter campaign, we were so blown away from the fantastic support we received from the Gen Con gaming community. And during the show, we had backers and customers who shared their pages with us and how they used their Con*Quest Adventure Journal™ to take demo notes, doodle, get autographs and generally make it fit their experience. We knew we could take it a step further by creating a new journal just for them. That’s what we set out to do. 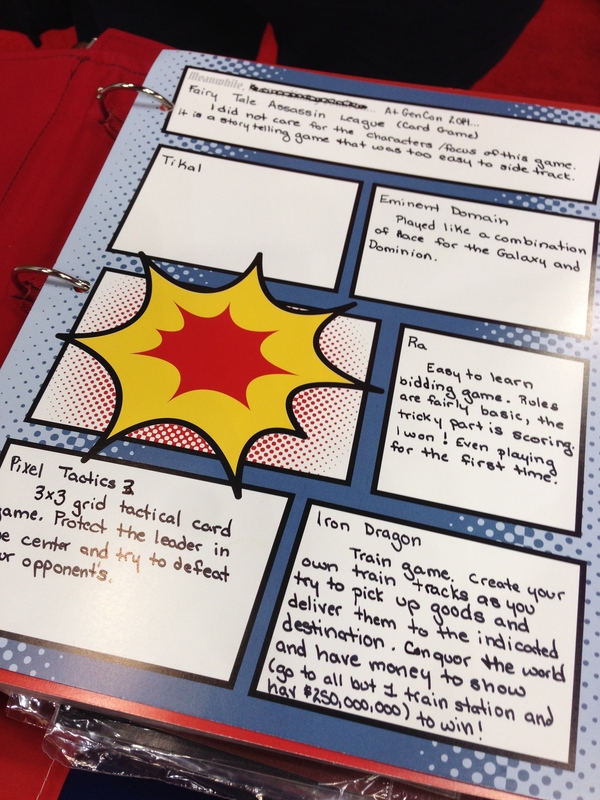 Demo notes from an awesome KS backer. 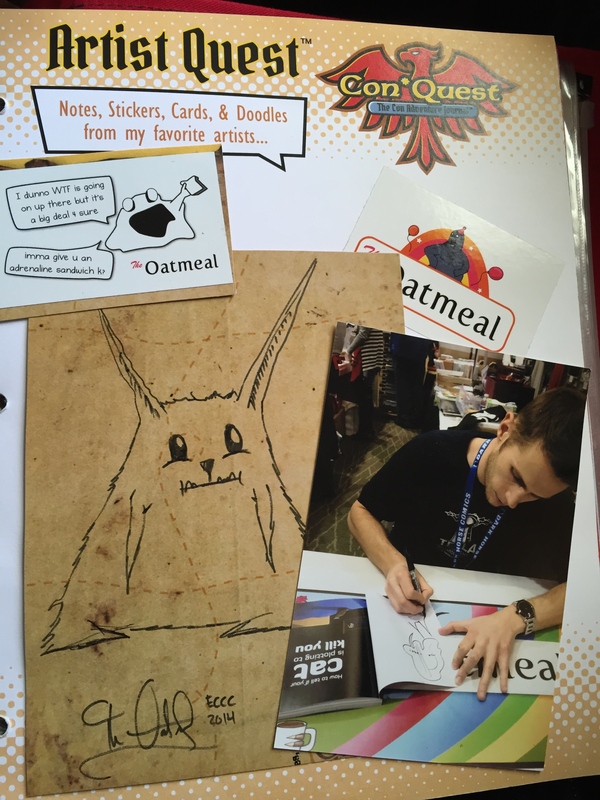 We will be designing a special custom canvas cover, featuring the Gen Con logo, along with long handled tote bag, Con*Panion™ Mini Journal and new inside journal pages. 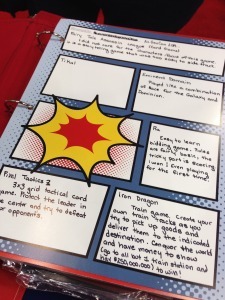 Over the next few weeks, we’ll be reaching out to the tabletop gaming community, our customers, our backers from last year and pretty much anyone who will listen to get feedback and design these new journal pages that will become a valuable tool for attendees at the show. We can’t wait to get started and we are SO EXCITED to be working with Gen Con to make this happen. 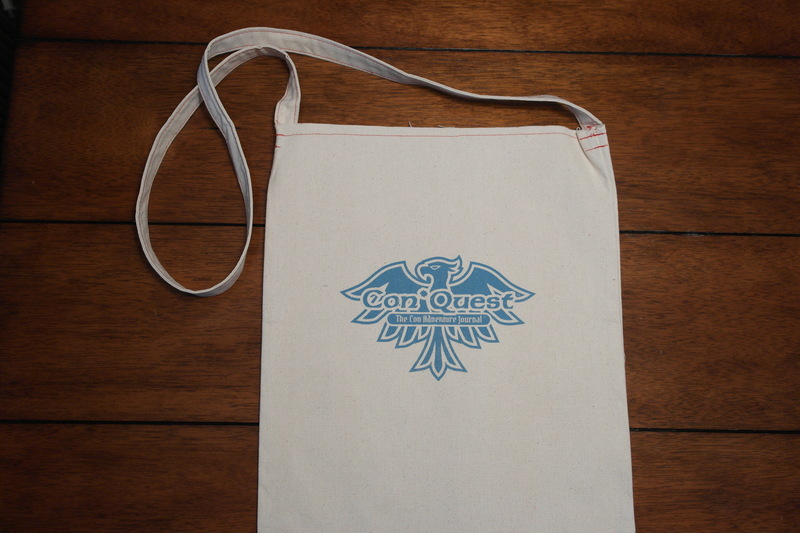 If you already have some great ideas, comment here, tweet us @Quest_Journals, comment on our Facebook page or email me! Shelley at conquestjournal. 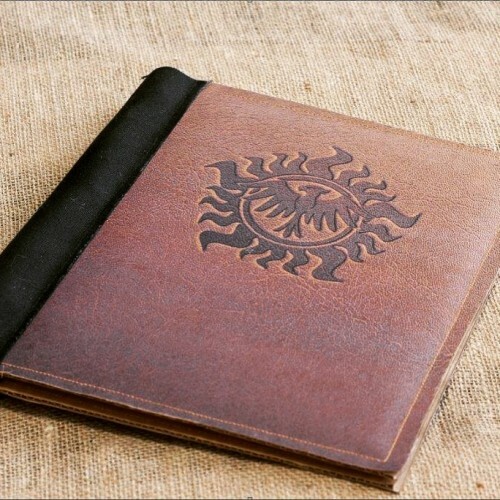 Supernatural Inspired Variant Con*Quest Adventure Journals are here! 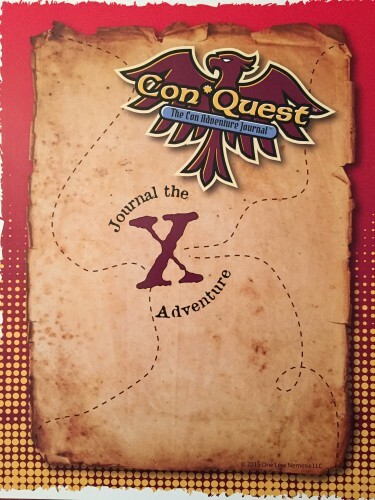 We are so excited to add to our line up with this Supernatural inspired variant cover Con*Quest Adventure Journal! Debuting at Creation Entertainment’s Salute to Supernatural VegasCon, you can pre-order yours HERE and pick it up at our table at the show! 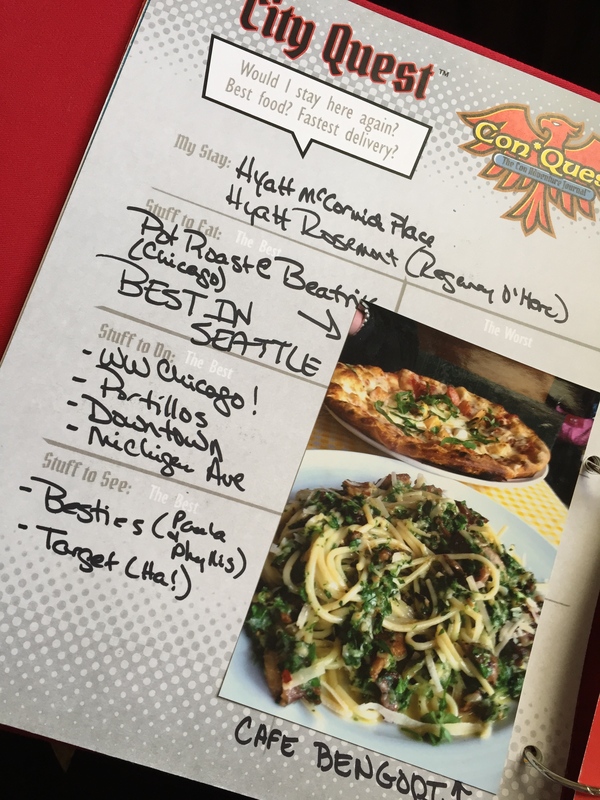 The inside pages are designed with a burnt paper look and printed on archival quality 80 lb. matte cover stock. 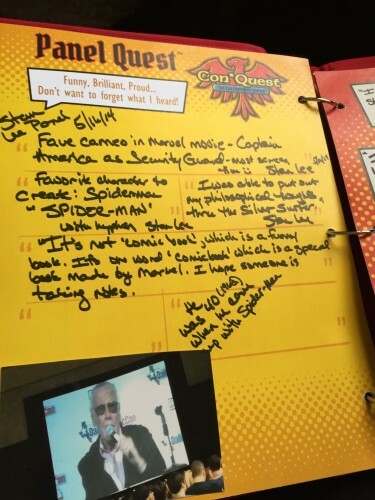 Each journal features 14 pages including Autograph Quest, Panel Quest for panel notes and Cosplay Quest to capture the costume contest fun! Two Ultra Pro sleeves are included to keep your photo ops safe, as well as business card page. We will have extra sleeves, extra pages and of course our deluxe red canvas journals at the show. Plus we’ll have a selection of our One Less Nemesis tees and some exciting merchandise as well.